Dams don’t solve the problem of water storage. On the contrary, the storage capacity of a river is reduced to 75 per cent due to siltation. The River Kali in Karnataka, which originates in the Western Ghats, has a natural flow for only 8 km out of 183 km as it is obstructed and controlled by six major dams and reservoirs. “These days, no one talks about the importance of continuous flow of water. India, till today, has no legislation of environmental flow. But surprisingly, we were one of the first countries to recognise the importance of ‘Aviral dhara’. 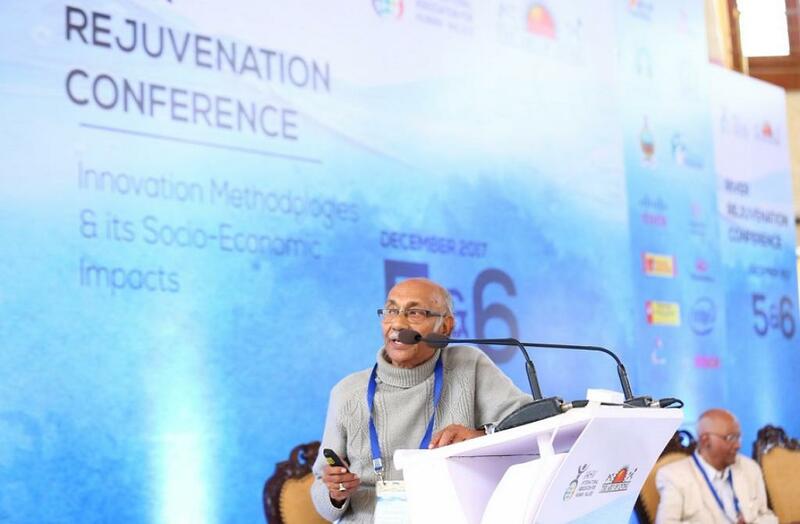 In 1916, Pandit Madan Mohan Malviya brokered an agreement with the British for the uninterrupted flow of the Ganga,” says K Subramanya, retired professor of IIT-Kanpur, during his session at River Rejuvenation Conference host by the Art of Living Foundation in collaboration with the International Association for Human Values in Bengaluru. Environmental flow is described as the Quantity, Quality and Timing of water flows required to sustain freshwater and estuarine ecosystems. Dams, which interfere with the continuous flow, don’t just lead to depression of groundwater table in the downstream but also restrict movement of organisms, nutrients and sand along a river, which has an impact on downstream aquatic system and biodiversity. “Rivers of West Bengal are heavily damned or irrigation and to provide flood control, but in effect it upsets hydrological balance. Damodar River below Durgapur barrage, Mayurakshi River below Tilpara Barrage and Kansabati River below Mukutmanipur barrage are all dry. There is hardly any ecological flow in these rivers,” says Subhrajyoti Das, ex-regional director, Central Ground Water Board. “India is the third largest dam-building nation in the world after China and the US. We have more than 5,000 large dams. Despite that, India’s annual per capita water storage capacity is 225 cubic metres, which is far less compared to China (1,200 cubic metres),” says T G Sitharam, professor at the Indian Institute of Science, Bengaluru. According to Sitharam, the fact that the per capita availability of water per year in India is 879 cubic metres and it is a water-scarce nation does not mean that there is shortage of water but there is lack of storage of water or water management. And dams don’t solve the problem of lack of water storage. On the contrary, the storage capacity of a river is reduced to 75 per cent due to the problem of silting. So what alternatives do we have at our disposal? “It is time we follow countries like Japan that have created multiple sub-surface dams. 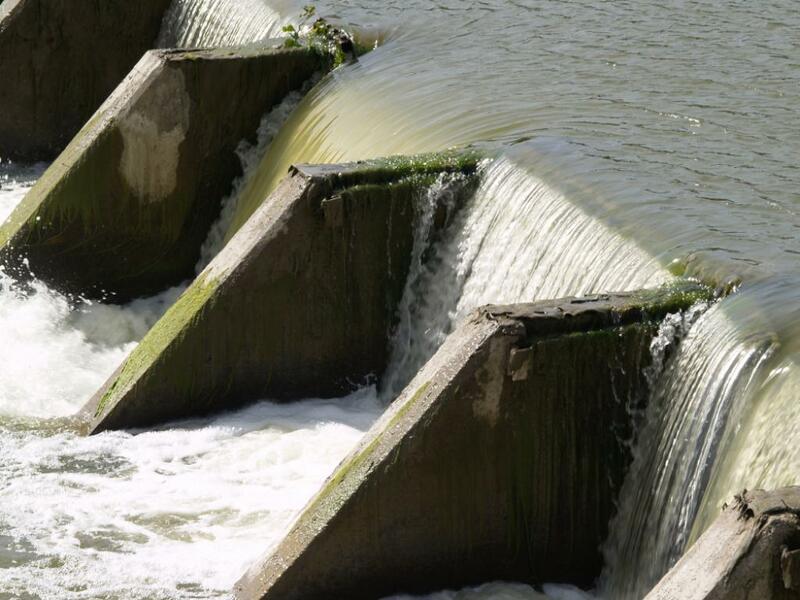 Unlike a surface dam, water loss by evaporation is minimal in underground dams. In a country like India, where evaporation rates are very high, this can be the game changer,” adds Sitharam. The sub-surface dams capture ground waters flowing fairly near the surface of the ground. This water can be accessed via wells upstream from the dam. Since the water is stored within the aquifer, submergence of land can be avoided. Moreover, there will not be any evaporation loss from the reservoir. Additionally, no siltation takes place in the reservoir and the potential disaster like collapse of dams can be avoided. Sitharam has recently advocated building coastal reservoirs as well. According to him, storing floodwater during rainy season with the help of coastal reservoirs is the best solution to overcome water shortage. According to him, the reservoir should be built near the river mouth where it joins the sea. The coastal reservoirs should have the provision of capturing only the floodwater and allowing excess floodwater to flow into the sea.